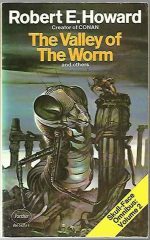 *Science Fiction, Fantasy & Horror: A fine update in the fantasy hero tradition, written or inspired by Robert E Howard, mainly 1st UK PBs and featuring some notable cover artists. 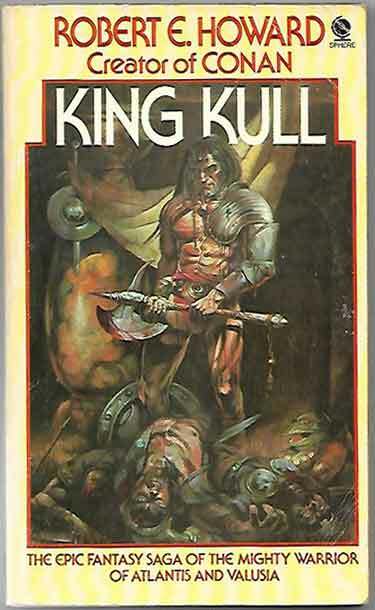 Works by the man himself are King Kull, the Skull-Face trilogy (all with Chris Achilleos cover art) and Marchers Of Valhalla. Howard, Nyberg and de Camp are represented by Conan The Avenger and Howard, de Camp and Carter by Conan Of Cimmeria, both with Frank Frazetta cover art. L Sprague de Camp and Lin Carter were inspired to write the only non-Howard book in this update, Conan Of The Isles, with cover art by John Duillo. Finally, we must give a special mention to Chris Achilleos, for creating at least five pieces of heroic barbarian cover art without a single scantily clad nubile/pneumatic female in view.